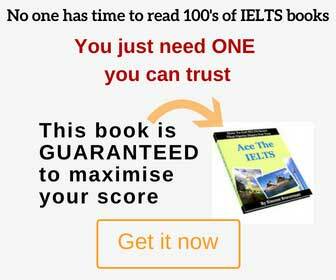 Here you can find IELTS Sample Reports of Band 8, written by students and graded by an IELTS teacher. It’s a good website to refer. This report was written on a topic from “Target Band 7” book (page 44, reprinted with permission). The table below describes the number of students studying foreign languages in SomeCountry in 2000-2005. The table presents the numbers of students who learned 5 different foreign languages in SomeCountry from 2000 to 2005. It can be clearly seen that the largest number of students studied Spanish, and their numbers rose throughout the entire period the table describes. The most popular languages were Spanish, German and French, of which Spanish language was the most popular, starting from 1889 students in 2000 and gradually increasing to 2453 in 2005. At the same time, students who learned German and French were around 1811 and 896 in 2000, respectively, and both groups experienced some fluctuation, eventually dropping their numbers to 1121 and 687 respectively in 2005. Russian and Japanese languages were learned by the smallest number of students, and that didn’t change over the period. The number of Russian students started at 20 in 2000, rising insignificantly to 26 students by 2005. Similarly, Japanese was studied by 32 students in 2000 and that figure increased slightly to 35 in 2005. Overall, it can be seen that while the most popular language increased in popularity, the second and third popular languages lost a considerable number of students between 2000 and 2005.